Today, most smartphones come pre-installed with a free mapping application. Both Google Maps and Apple Maps have become a staple tool that many of us use every day. Unfortunately, a major disadvantage is they both require a data connection for you to access the maps. In this article, we review and compare the best mapping applications you’re able to use without the internet. 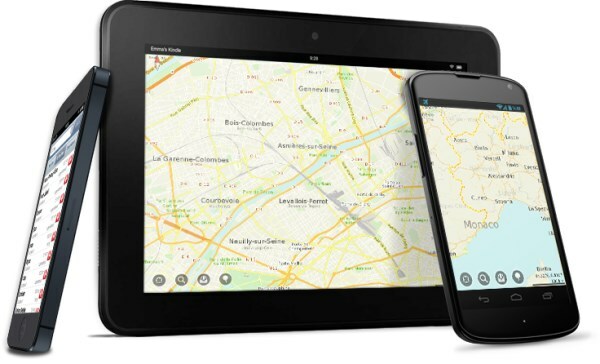 The offline mapping applications are perfect for wi-fi only tablets and for travelling abroad to a country where you won’t have a data connection. Nowadays, almost every modern smartphone comes pre-installed with a map application. On iOS, you’ll get Apple Maps preinstalled on your handset. On Android, you’ll get the Google Maps service by default. 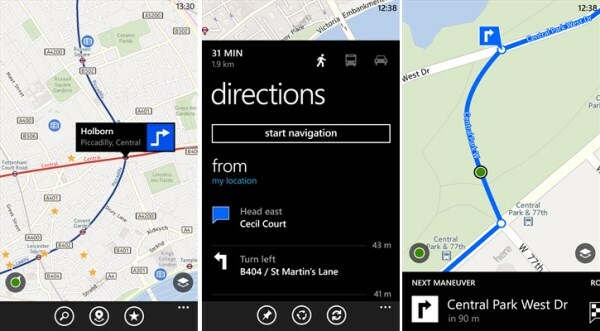 Meanwhile, on Windows Phone, you’ll get Windows Phone Maps. 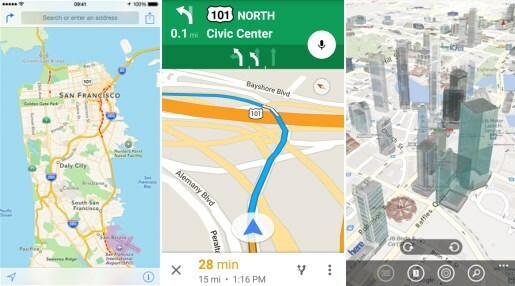 For most people, the pre-installed maps have almost everything you’d want: there’s turn-by-turn GPS navigation, up-to-date mapping information and a powerful search tool to find places of interest. 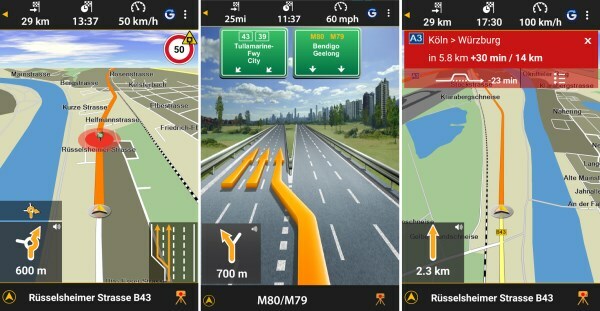 Pre-installed mapping applications (from left to right: Apple Maps, Google Maps and Windows Phone Maps). The reason why almost every smartphone is able to have pre-installed maps is because the mapping information is actually stored in the cloud. Instead of having a map for the whole world stored on your smartphone, the data is downloaded from the internet only when you need it. The maps are constantly updated with new roads and buildings and you get value-added features such as traffic information, street view imagery, bus times and more. A major disadvantage of cloud-based mapping applications is that everything depends on you having access to the internet. Without a working data connection, you won’t be able to view any maps. You also won’t be able to search the map for places of interest and you won’t be able to use GPS navigation. For anyone with a wi-fi only tablet or with a smartphone that lacks access to the internet, this can make a cloud-based mapping application next to useless. For anyone who wants to access maps offline or for anyone who wants to use GPS navigation without mobile data, an offline mapping app provides the solution. Instead of having mapping information stored in the cloud, it’s all saved locally on your smartphone. This means you’ll always be able to see where you are. You’ll also be able to navigate from A-to-B whilst staying entirely offline. Caveat: An offline map will normally require up to 1GB of storage on your phone. GPS positioning is also normally much slower (assisted GPS requires you to have a working data connection). Before continuing with this blog post, it’s worth noting that Google Maps has some limited offline capabilities. If you’re planning to visit a location where you won’t have access to the internet, you can download a Google map for that region in advance. After doing so, you’ll be able to pan and zoom around the map whilst entirely offline (e.g. to see roads and key points of interest). Unfortunately, however, you won’t be able to use search or GPS navigation. This makes it totally impractical as an in-car tool (practically, it’s only really suitable as a replacement for a paper map). Search for the city or region you’re planning to visit (e.g. Paris). Tap the search result at the bottom of the screen. On the result page, tap the “…” button in the top-right corner of the screen. Choose the option to “Download offline area”. Your offline map downloads can cover a maximum area of 50km x 50km (this is just about enough to cover most of a city). The feature is only available in certain parts of the world (it depends on the local licensing agreements Google has in each country e.g. the offline map feature isn’t offered in Spain). Offline map downloads will last a maximum of 30 days – they’ll automatically be deleted from your phone after that time. 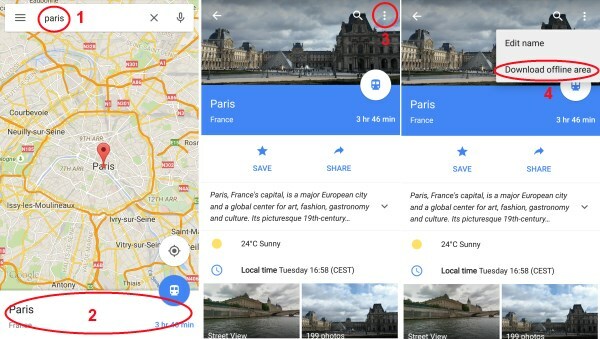 In Google Maps, you can download a city or region to view offline. You’ll only be able to pan and zoom around the map (searching and GPS navigation won’t be available offline). Though Nokia has stopped making mobile phones, their mobile mapping division is still going strong. Originally formed out of their purchase of Navteq, HERE Maps is the latest iteration of Nokia’s mobile mapping service. It’s available as a free download on iPhone, Android and Windows Phone devices (previously, the service was known as Nokia Maps and Ovi Maps). By default, HERE Maps works in much the same way as Apple and Google Maps (the mapping information is downloaded from the internet only when you need it). Where it goes one step further is in the option to download fully-featured maps for usage offline. More than 100 countries are available for download including the UK and most of mainland Europe. When using the app offline, you can still search and use GPS navigation (something that‘s not possible when using Apple or Google Maps). After downloading the HERE Maps app, you’ll need to tap the Menu button followed by ‘Download maps’. Your maps can either be saved to the internal storage or micro-SD card (you can change the storage location by tapping menu followed by Settings > General > Storage memory). The offline maps for the UK will take around 700MB of storage (you should download the maps on wi-fi before you leave home). Bonus features in the HERE Maps app include custom voices for GPS navigation and public transport information. HERE Maps is the GPS navigation app from Nokia. It’s free and you can use it offline. TomTom GO Mobile (a free download on Android devices only) is an offline navigation service from the GPS provider. It’s a fully-featured app that’s designed to replace dedicated GPS devices: it has traffic information, advanced lane guidance, speed camera information and 3D buildings and landmarks. The application works entirely offline (you’ll need about 900MB of storage to download the UK & Ireland maps). A fascinating feature of the app is its “freemium” model. Anyone is able to download the app for free: you can plan a route and find places of interest without paying a penny. Every month, you get 50 miles of turn-by-turn navigation for free. Beyond the 50 miles, you then need a subscription for the service. It’s £14.99 for a one-year subscription and £34.99 for a three-year subscription. The price includes updates to your maps (“4 or more full updates every year” according to TomTom). TomTom GO Mobile is one of the most fully-featured apps for offline GPS navigation. On the iPhone, TomTom currently offers only an older version of their app. It’s £29.99 for the UK & Ireland app and £52.99 for the pan-European app. Custom voices for the GPS navigation (e.g. Yoda or Homer Simpson) are priced at £4.49 as an in-app purchase. Garmin’s Navigon application is another fully-featured app for offline GPS navigation. Available on iPhone and Android, it has numerous advanced features such as lane guidance and traffic information. Another special feature is the speed limit monitoring: Navigon will automatically compare your current speed to the speed limit for the road. Unfortunately, the Navigon app is relatively expensive compared to its rivals. For the UK & Ireland edition of the app, it’s £29.95 on iPhone and Android. You’ll need to have about 1.6GB of available storage to download the map. For the pan-Europe version, it’s £59.99 on iPhone and £44.95 on Android. You’ll also need about 3.4GB of storage for the map. In addition to the basic price for the app, many features require an in-app purchase (e.g. an extra £14.99 for live traffic information). Garmin’s Navigon application has some advanced features such as speed limit information, motorway lane guidance and automatic re-routing around traffic disruptions. Finally, Maps.me is a free navigation service you can use offline on iPhone and Android. It uses crowdsourced information from OpenStreetMap.org (an open-source map where anyone can contribute). On the whole, mapping information is of a very good quality (arguably, almost as good as the data in Google Maps). In terms of the app itself, Maps.me is certainly a no-frills offering. It lacks voice-guided instructions as well as traffic information and advance lane guidance. However, it’s definitely worth considering as a free offline option that’s able to get you from A-to-B. Maps.ME is a free service that uses OpenStreetMap data. Nowadays, almost every modern smartphone has a mapping application included on the handset (Apple Maps on the iPhone and Google Maps on Android). Being cloud-based services, you get up-to-date maps without the need to store maps locally on your smartphone. A major disadvantage of this setup is you’ll need a working data connection for GPS navigation. In this article, we’ve reviewed the top mapping and GPS navigation apps that you’re able to use when offline. Do you use any offline mapping apps? Are there any mapping applications you’d recommend to other readers? We’ve love to hear your thoughts and comments: please drop us a message below and let us know what you think! Regarding Nokia's HERE mapping service, it was announced on Aug 2nd that Nokia has finalised the sale of HERE maps to a German car consortium comprising of Mercedes' owner Daimler, BMW, and Audi (a VW subsidiary) for €2.8 billion (roughly $3.07 billion). Whether the HERE mapping service continues to be available for free under the stewardship of its new owners remains to be seen. As for as the pioneer of mobile phones, Nokia is no longer the business it once was, now focused on network infrastructure (through its acquisition of network firm Alcatel-Lucent in April this year and the buy back of all shares (the remaining 50%) in Nokia Siemens Networks in July 2013), technology development, software, and licensing. Great post. I did not think you could get any maps without data / internet connection. No mention of the paid for mapping system SYGIC which covers the whole world. Recently when in Marrakech and I was trying to find the Riad where I was staying in the Medina I was most impressed by the alley by alley map to my destination. Wow! Alley by alley direction in Marrakech - now that is impressive. Of-course if you didn't have a mapping device there's always a young lad who will lead you out of the maze .... for a price! I want offline maps on my phone for hiking/camping trips in the Highlands. Paper OS maps are a nuisance because I'd need so many of them the amount of ground I cover. I'm often in places where there's no phone signal, and even where there is it's only GPRS. Just considering the options for now. I need something that has contour lines of the terrain/mountains and tracks on etc not car stuff / streets / roads. What's the best option for that? I found my way to this blog-topic via the 14 Aug edition of The Gaff. Thanks @gordie10 ! For those who need offline maps and related travel information, I'd recommend looking at what Triposo offers. The apps are free. The Triposo apps are perhaps closer to Lonely Planet guides, or to Trip Advisor - but in my view, better than both. They have regional and city-guides. There is scope to go interactive, and feed in comments and destination reviews. But even if used only for route-maps or street plans, Triposo is worth a look. In response to @masterluke's enquiry, it might be worth checking out the WalkHighlands website. I don't know if WalkHighlands produces an app as such, and if so what it might be like. I am not personally a hiker/camper, but I believe it is possible to download WalkHighlands GPS route plans on to a smartphone. Apologies if this is something that has already been looked at - but i thought it might be helpful. 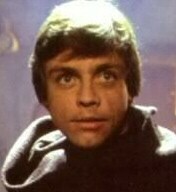 @masterlukeYou might want to consider OS Mapfinder. It runs on Android & I think on the iPhone. The app is free. You pay for the OS map tiles you want/need. Note these are not the same total coverage as a paper map but goes down to a similar level of detail. Can't remember the size of a tile but is a lot smaller than paper maps depending on the ratio. 1:50K is 99p per tile & 1:25K is £1.99 (I think but that's the ballpark per tile). You basically download the maps you think you need say at home over WiFi. As the app uses GPS you don't need a mobile signal. I live on the edge of the Peak National Park & fairly often the signal is non-existent. The app can sometimes be a bit iffy in use but I've been using it now for about 18 months (current one is much better than it's predecessor). I've also discovered some of the "technique" of using the app - & as all these types of apps, to my way of thinking they are not full fledged applications such as you'd find say on a Garmin dedicated device - but then you pay your money etc. However it's worth pointing out that electronic devices do misbehave & sometimes fail batteries etc. I usually carry spare battery pack for charging & a paper map of the area especially when on my own. There are other apps UK maps is one but can't remember if it downloads all the map areas you need I think it pulls them in as needed so at least HSDPA coverage is needed for that sort of thing. There are others but despite the issues experienced with OS Mapfinder I keep coming back to it & of course these are the digital versions of OS maps so from that aspect are the "original" thing.